← Not the best side of Jamaica… Or America either. Very wearily we made our way back to the farm. To get there you have to go up a huge, (well it feels huge) steep hill. It feels like you have to crawl on your hands and knees almost to get up it; upon our arrival back at the farm, huge heavy backpacks on, after being squeezed into a 12 seater bus with 26 people in it, that hill had never been easier or look so beautiful. Everyone was happy to see us back, which was such a nice feeling, especially Brando and Tyler. For my reminding time at the farm they stayed by me all the time. Slept on my porch at night and stayed close during the day, they were also extremely protective if I went anywhere in the dark, so much so I often tripped over them. The little puppy, Tash, was just happy to have someone else to chew on. It was so good to hear “good morning beautiful” again . We were there for 27 days, and they were excellent. The thing about Jamaica, which I mentioned before and is something I still find hard to deal with is that harassment. It’s continuous, in your face and pressing for your money or to buy something or a taxi, even when you say no it doesn’t stop, they continue to see if you change your mind and sometimes angry when you don’t. Thankfully as time went on I got more used to it, and as the locals got to recognise me more, It slowed down. I found when I wasn’t with Jacob it happened hardly at all, I think because I wasn’t with an obvious ‘white tourist’. I did get a few men come up to me, but honestly I found it a little bit of a compliment. They soon went away when they I saw Jacob, (well most did). I don’t blame them, He has got this grumpy, no-one come near me kind if look. But I love it. The work was was relatively the same; weeding, sorting the veg, harvesting, we continued with that with the earth bag building, while seating around the fire pit was left forgotten. One day we sorted out the chicken coop. I quite enjoy doing this, we cleaned it all out and then laid a new floor. Another day we set up an irrigation system, and another was removing large swathes of lemon grass which started to overthrow the whole farm if left abandoned. It took four of us, three whole days or more to remove at all. They were building a new house with a yoga platform while we were there. Before we left we had done the painting of the wood for the roof and doing some concreting. Now we were inside plastering the walls and painting. They had used drywall, and to be honest they had not done it well. I spent a lot of time working with Canadian Michael, who was at the end of his tether, trying to fix the mess they had left. If it was in England they would have the show Cowboy builders in. When I was plastering, the men watched me the whole time, and as soon as I walked away, they went over to check the work. I’d already got the impression that a building site was ‘not for women’ but they seem pretty satisfied by what I did. As I spent more time at the site, the more open they were to the fact I was there, and was fine that I was able to do exactly the same as them, and maybe a little impressed that I was able to as well. We tried to do our best at everything. Michael and Lise was so great you wanted to try to do well, but it wasn’t always the case. One day Jacob and I were cutting the parsley for the market and completely destroyed it by cutting it all wrong. It had been eaten by some bug anyway, so most of it was a unusable, but still we made it a lot harder for him to grow his parsley again. Jacob also managed to pull a lot of lettuces he wasnt ment to. Thankfully, Michael’s helper – Lator – who was awesome to work with, went round and sort it all out again. Then that was it. Work was over. The next post I will talk about the activities we did while there. Despite how hard everything was for me to adapt, especially the first few months. To be honest I am still adapting, still finding it stressful and working alongside the constant change, I enjoyed it. 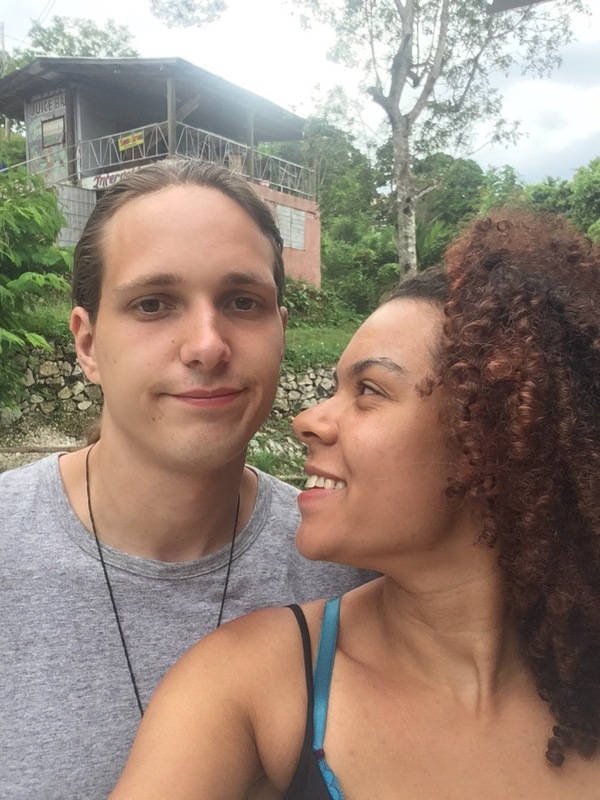 I found Jamaica to be great, but I think that was mainly down staying with Michael and Lise. Michael said I spoiled Tash, but to be perfectly honest, he definitely spoilt us. 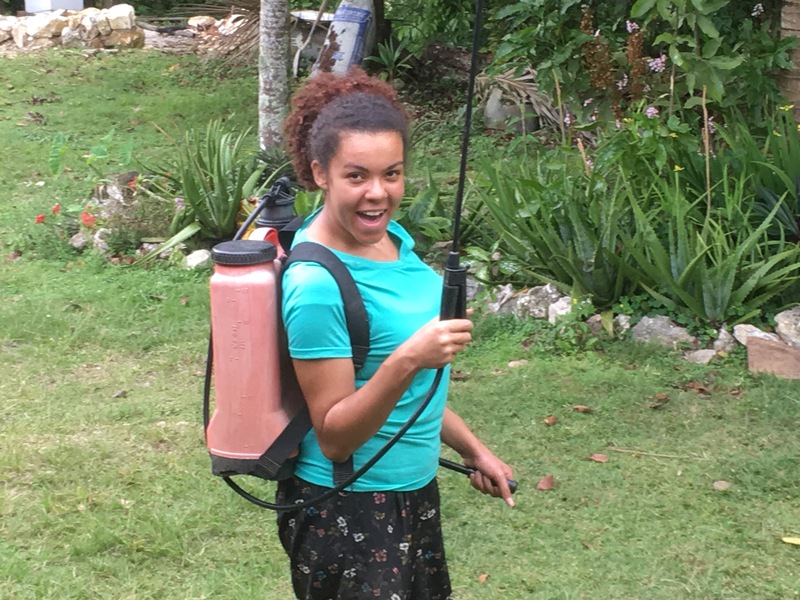 This entry was tagged Aspergers, Autism, Farm, Jamaica, Travel, Volunteer. Bookmark the permalink.